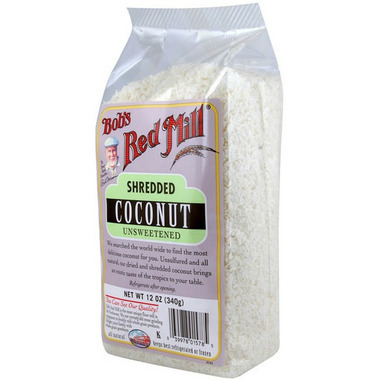 Bob's Red Mill Shredded Coconut is naturally sweet. Use in baking, salads, granola, and in all your coconut cooking. Unsweetened and sulfur free. Everyone knows homemade is better than store bought! Try this nut-free granola bar recipe on our blog, The Well. It has a mild nutty flavour, and clean taste. It is a versatile ingredient. I use it for baking, cold cereal, salad, soup, etc. It gives a nice texture and a pleasantly mild nutty flavour. My go-to coconut! Love that it is natural and un-sulphured with no added sweetener. Can't beat the quality and flavour! This is great quality coconut and you can taste the difference for sure. I like and trust the Bob's Red Mill name brand very much and I'm happy that well.ca carries such a range of their products! Delivery is flawless, product is very good. Trust is an issue, as I suffer from anaphylaxis, allergic to a preservative. I need food without additives or preservatives, my life depends on it. 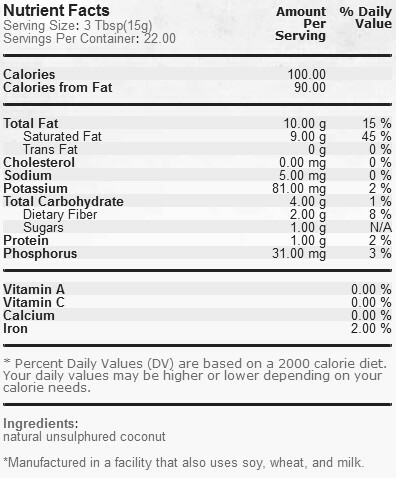 Well.ca provides detailed information about the products they sell, so that I can relax and eat safely. Glad I found this retailer! Delicious! I was using a cheap brand from Walmart and this tastes so much better. I will buy from now on. Excellent in taste and in fragrance. I only wish that the shredded texture would be thicker. It's hard to find shredded coconut without additives so I was glad to find this! I plan to use it to make coconut milk for my dairy allergic daughter. This coconut has excellent flavour and value. I made a coconut cream pie and used it in the crust and filling. Everyone said it was delicious! Great texture and flavor. I throw it in my coffee grinder and make some nice light coconut flour for baking with. Nice product! Love it for my granola mix! I love it on my salad.